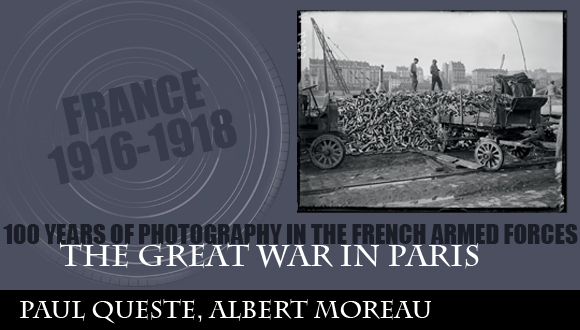 “One hundred years of photography in the French Armed Forces”. Third episode. 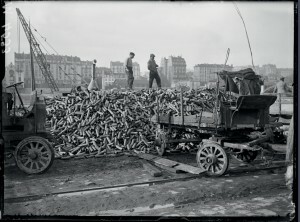 The Great War in Paris. Preserved from invasion due to the “miracle of the Marne”, Paris saw the front draw back by nearly 100 kilometres in September 1914. The capital lived on against the backdrop of an omnipresent but remote war. In 1919, it received the Croix de Guerre in recognition of its 90 days of bombardment during the four-year war. 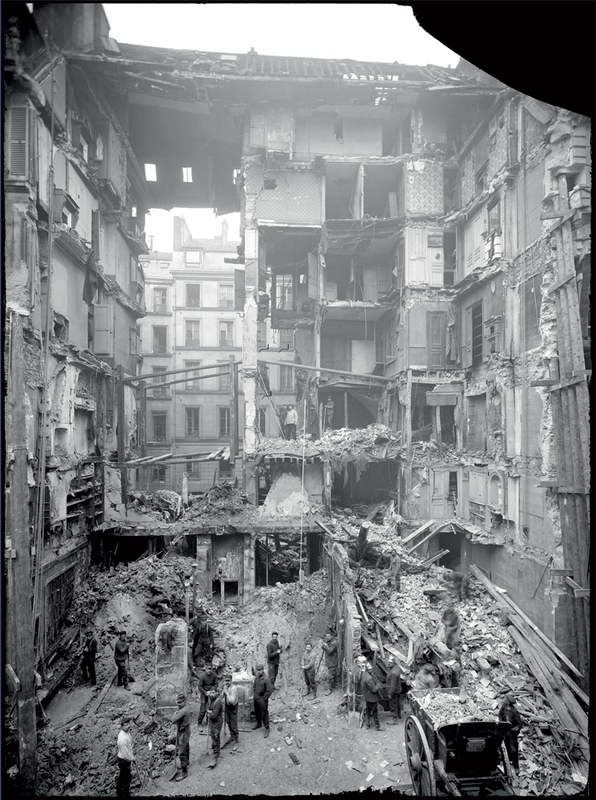 Paul Queste, an operator with the army photographic section (SPA), shows a Parisian building disembowelled by the explosion of a 100 kilo bomb dropped by a German Gotha bomber on 8 March 1918 during a raid that saw 28 bombs explode over Paris and another 60 or so over the suburbs. 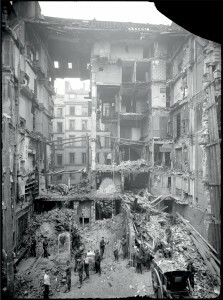 The image shows the power of the impact, which killed several residents as well as causing the building to collapse. 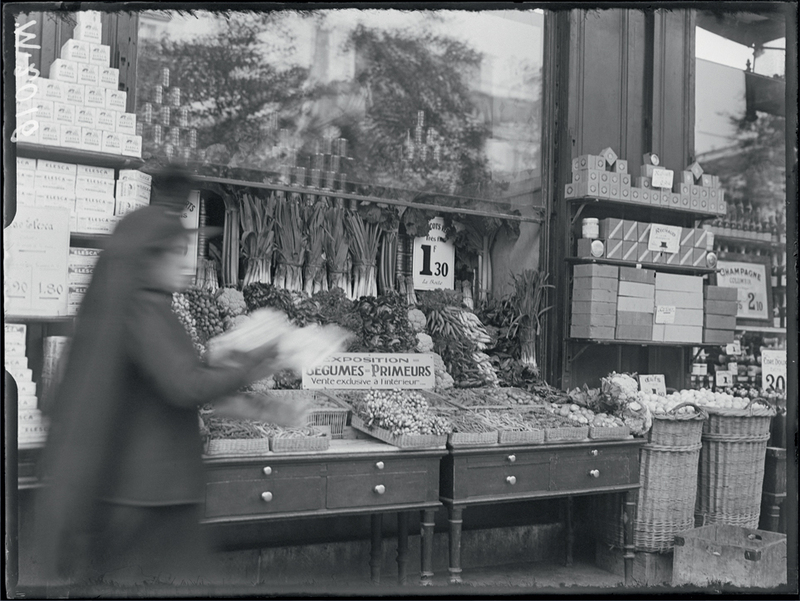 Between March and August 1918, the Pariser Kanonen fired over 360 shells, injuring 620 people and killing 256 more. 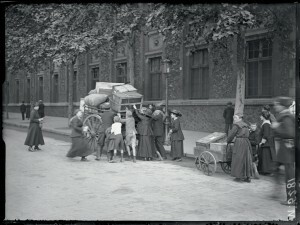 Albert Moreau also showed the repercussions of the bombing on the Parisians, many of whom tried to flee the capital, like these families piling up their belongings on carts to take them to Austerlitz station. 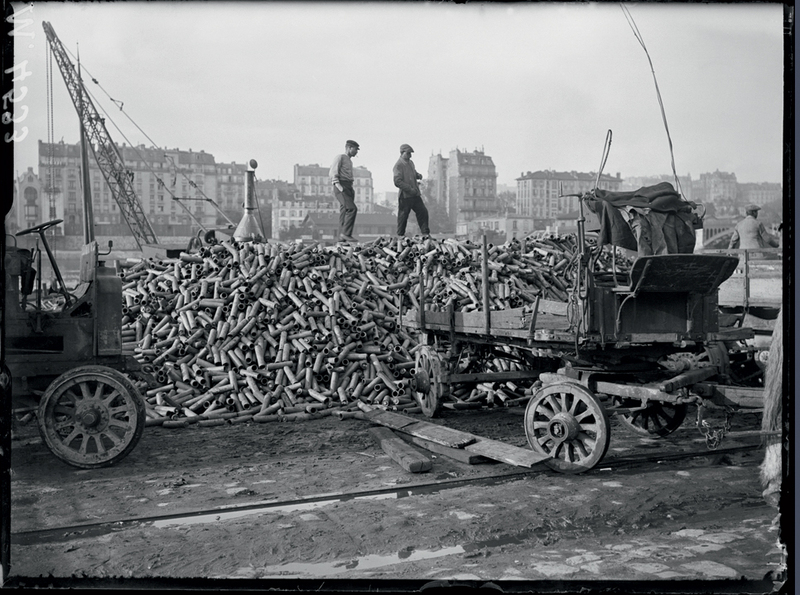 The signs of the capital’s engagement in the war are photographed everywhere, as on the Quai de Grenelle, where shell cases are being unloaded to be melted down, an image symbolising clearly the war’s industrial dimension. 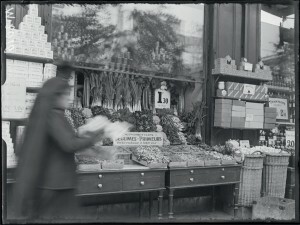 Replying to this profusion of munitions is the “exhibition” of fruit and vegetables in front of a Paris grocery, which Albert Moreau enjoys presenting as a sort of modern horn of plenty.